I love my Facebook friends. I really do. But the ones on the far left and far right don’t seem to get it. Their political posts are often filled with animosity or, worse yet, reliance on Fox News. They don’t sway anyone. Instead their posts foster annoyance, or even make them look like they’re a few cards short of a full deck. 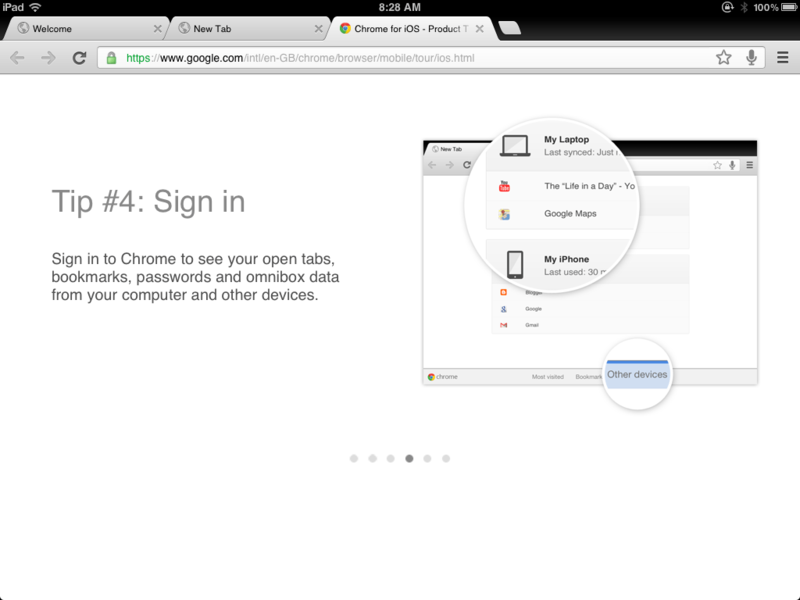 If you use Chrome as your web browser, you can escape all that. 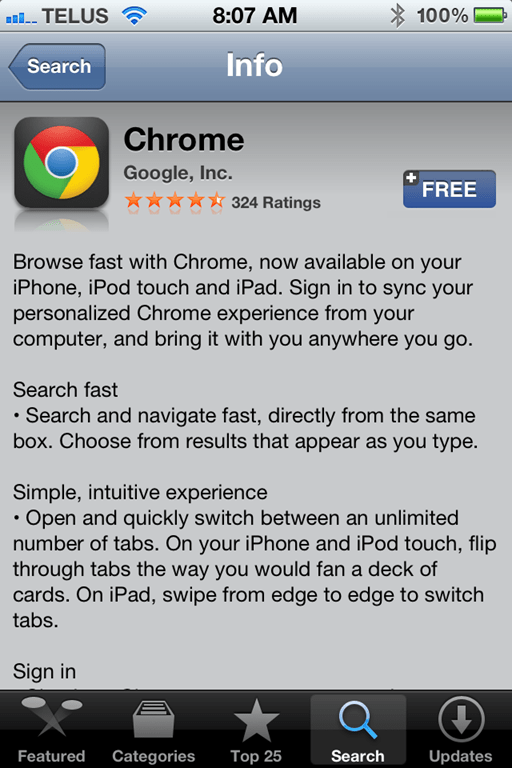 If you hadn’t already heard, Google Chrome for iPhone and iPad was released this week — and it promptly became the #1 free app on the app store. This is something that we’ve been waiting for with baited breath, and something that I, personally, was never sure would happen properly due to the rivalry between Apple and Google. Have no doubt, though, it’s here — and it takes the best of Google Chrome’s desktop browser and jams it neatly and prettily into your pocket. 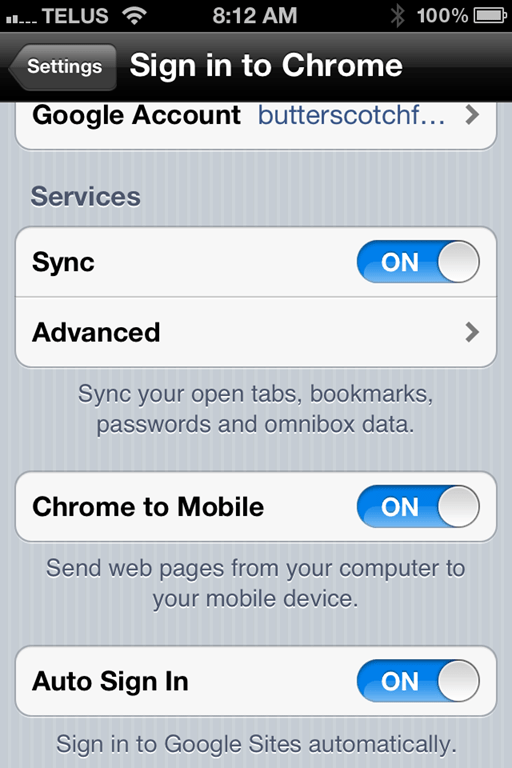 One of the best features of Google Chrome for iOS is the integration of Chrome’s sync technology. 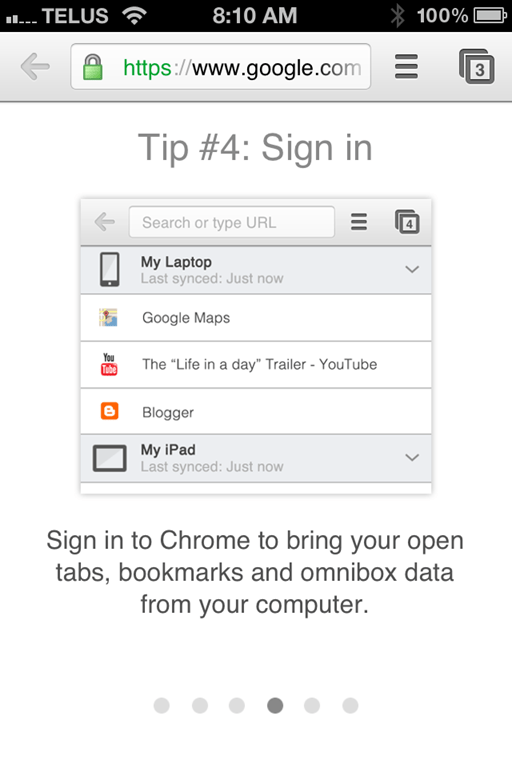 If you have ever wanted the ability to open up any device — iPhone, iPad, Android, any computer that you’ve signed in to Google Chrome on — and pick up browsing from where you left off (again, on any of them), then you have reason enough to love Chrome for iOS app as the final piece in that puzzle. It syncs your browsing history, open tabs, omnibar searches (yep, all that omnibar instant search power is in there, too), passwords, bookmarks, etc., etc., etc. Chrome was always great for being able to hop from computer to computer, but now you can hop from computer to computer to mobile and back again — and seamlessly, at that. That’s just the tip of it, though. Google Chrome for iPhone and iPad is blazingly fast, has an intuitive interface, and comes with niceties like easy, swipe-based tab switching, tracking of recently closed and most-visited web pages, voice-based search capability (Google’s not Siri’s), search within web pages, and the ability to request a switch to desktop mode for entire sites at the touch of a button. 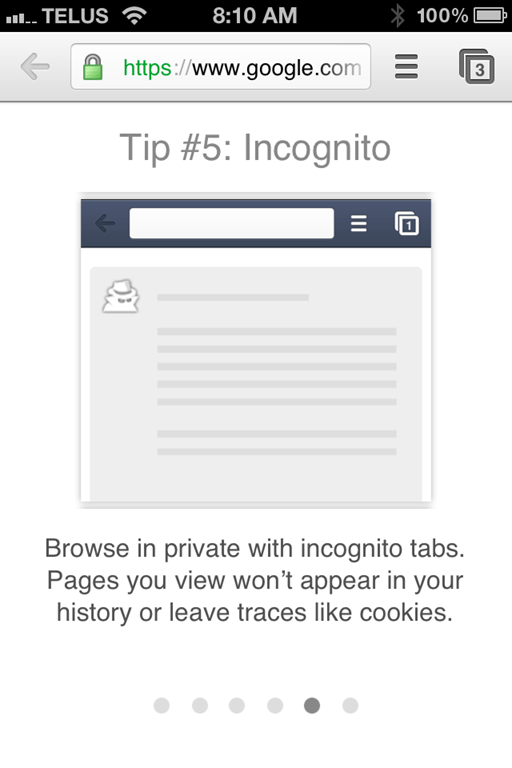 Google Chrome for iOS also includes Incognito Mode, and allows you to have as many open tabs in the browser as you damned well please. 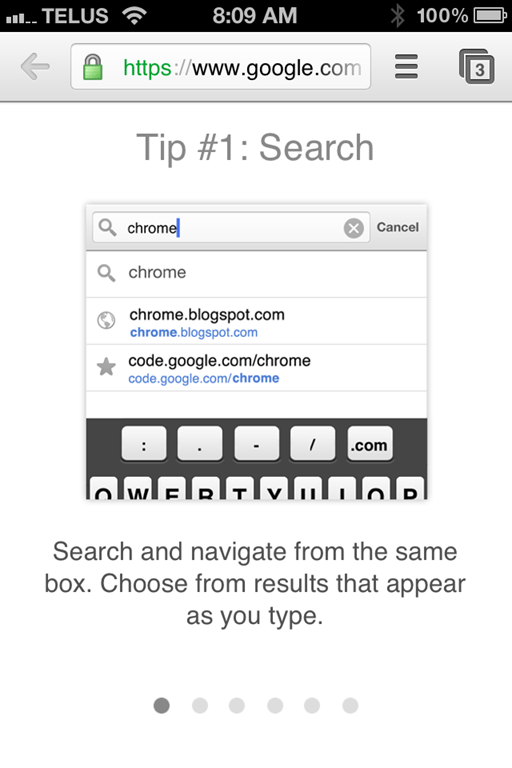 Chrome for iPhone is beautifully designed and extremely intuitive, and Chrome for iPad is the closest thing to a desktop browser that you will find on any tablet. 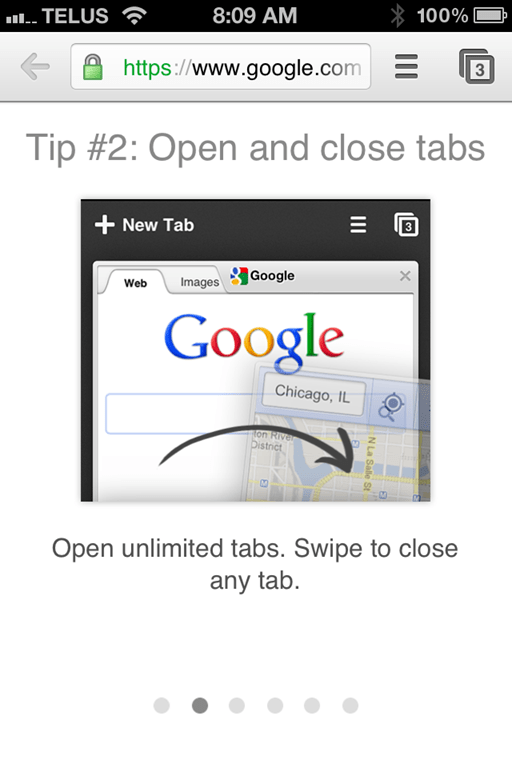 If you can get past the occasional (if persistent) few seconds of waiting, though, Google Chrome for iPhone and iPad could be your go-to web browser replacement for mobile Safari (it’s certainly more stable than Safari for iPad). The possibilities excite me to no end. 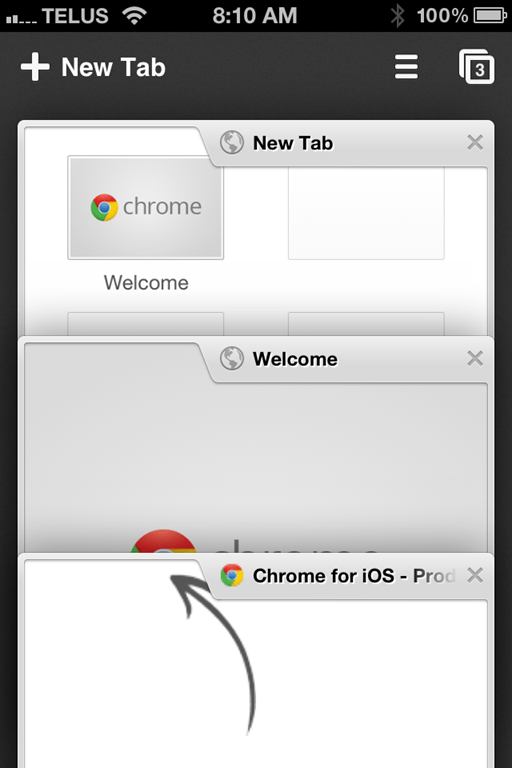 I’m thinking some version of Chrome extensions would be a logical next step! Either way, Chrome for iOS gives me yet another reason to jailbreak my iPhone and iPad: to cull Safari out of default browser status, once and for all. I’ve found myself plenty busy lately. The new job, new baby, and newly four have been making it difficult to get sleep, let alone writing time. As a result, however, my obsession for to-do apps has flexed its brawn and muscled its way back to the forefront of my thoughts — especially after I accidentally discovered Any.DO. 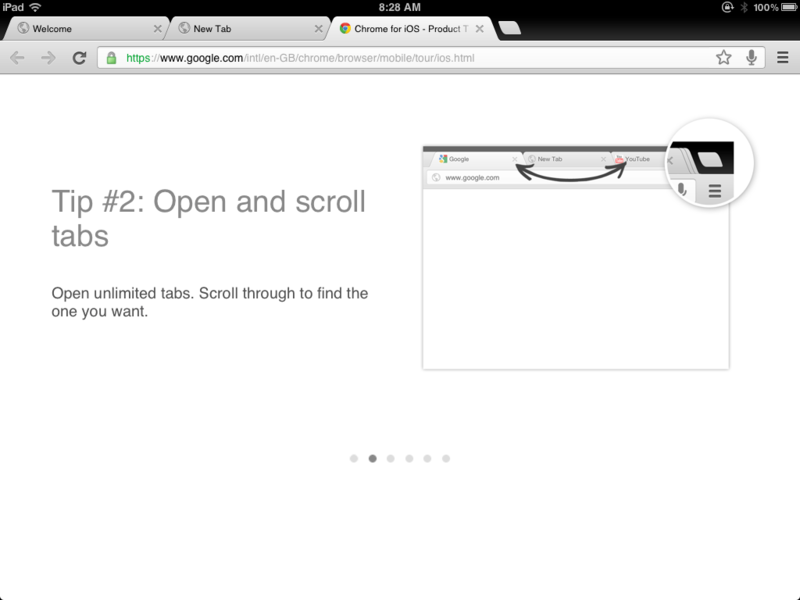 I like Google Chrome. Love it, in fact. I love the extensions, I love the OS-style feel of it, and I love the apps integration that makes that feel possible. It long ago took over Firefox for me, and, while I love the foxy Fox, I’ve never been able to go back to it full time. The one thing I find with Google Chrome, however, is that — like my computer and my mobile devices — I have a tendency to collect apps that seem useful, and then rarely use them. I tell myself that they might come in handy one day (and therefore should be kept), but that’s probably just an excuse — an excuse that got me wondering: do you have the same problem? I organize my apps into different pages, and I’ve listed them below, only detailing the Quick Apps page, which are the ones I like to keep available and (in theory) use the most. I’ve uncluttered recently, but I still find that I barely use many of the apps within. Evernote Web – I never open this. Well, very rarely. I use the desktop app or my mobile apps instead. I keep it, though, on the off-chance that I’ll load up Chrome OS or install Linux and sync my profile. Or something. 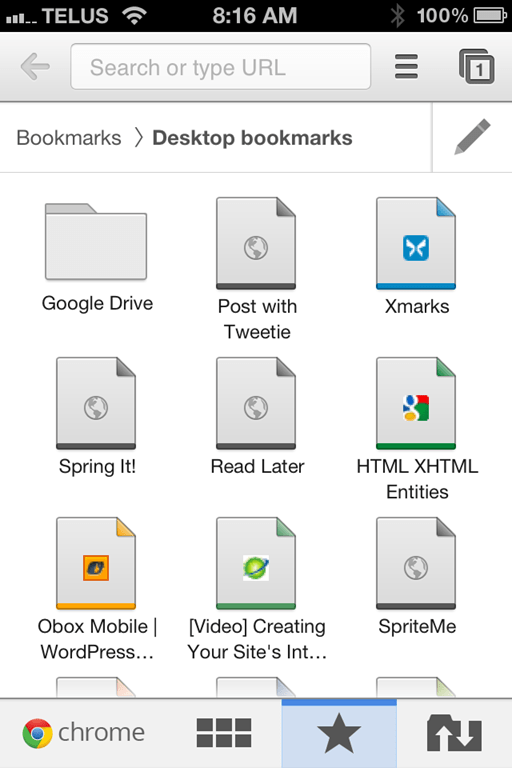 Springpad – I like Springpad and I do use this, as the app is strictly web-based at this time. 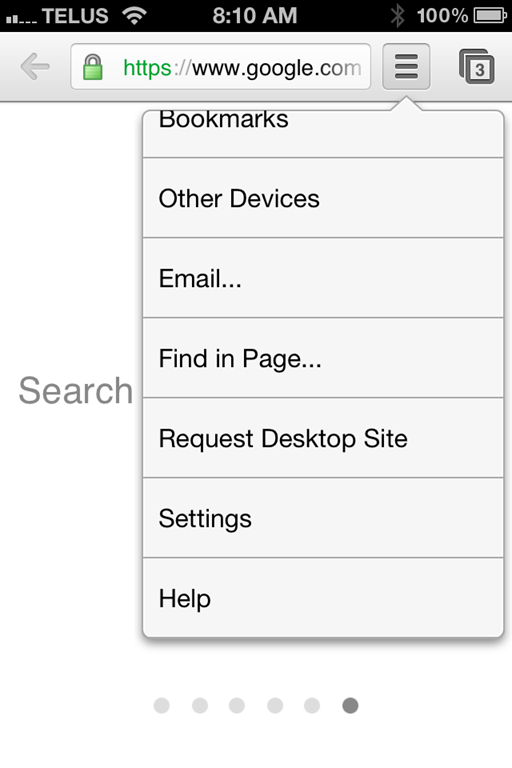 I also enjoy some of the integration into the context menu, though I don’t actually use it that often. Producteev – I use this one, too. Producteev has a desktop app, and that’s great, but it needs work. I also prefer to have my task manager in the browser, as I do most of my work while online, and the browser makes it quickly accessible. Wunderlist – I love Wunderlist. It’s probably the sexiest task/list manager out there. I rarely use it, though, as my workflow is based around Producteev. Occasionally, I might use it to quickly make a pretty list that I want with me on my iPhone and iPad, but I have no real need for it. But it’s pretty! Mint – Now this, I use. I don’t use it enough or to its full potential, but I do use it. Mint is an awesome money managing app, and it has been working up in Canada for a while now. I’m not letting this one go. Timer – This is a simple button that fires the Timer site/app (formerly TimerTab, which we covered here) — which allows you oddly enough, to time stuff. You can even set a YouTube video as an alarm. I chose Spill the Wine by Eric Burdon and War. Google Calendar – There are a number of ways I can get at Google Calendar, but I use this when I want it to easily open in its own window. Which is a rare thing… but I do still use it. Google Docs – This is my web portal to Google Drive – which is an awesome 5GB of free storage space with a 10GB file size limit, plus more — and it could be an Evernote alternative in its own right. TweetDeck | Hootsuite – I have no idea why I keep these here. I find that I manage multiple Twitter accounts more effectively on my phone, or by using LastPass to sign in to the account I choose. For work accounts, I have a whole other browser profile that I tend to use, so there is never any real conflict. If I consolidate, though, one of them could be useful, I suppose. Who needs to have so much social information thrown at you at one time, though? Keep it simple and lower your stress level, says I. Box | Dropbox – I use both of these, but if the two, Box is the only one I ever open, because it is a web-only interface. I use my OS for Dropbox. I keep it there for the Google OS potential, though. 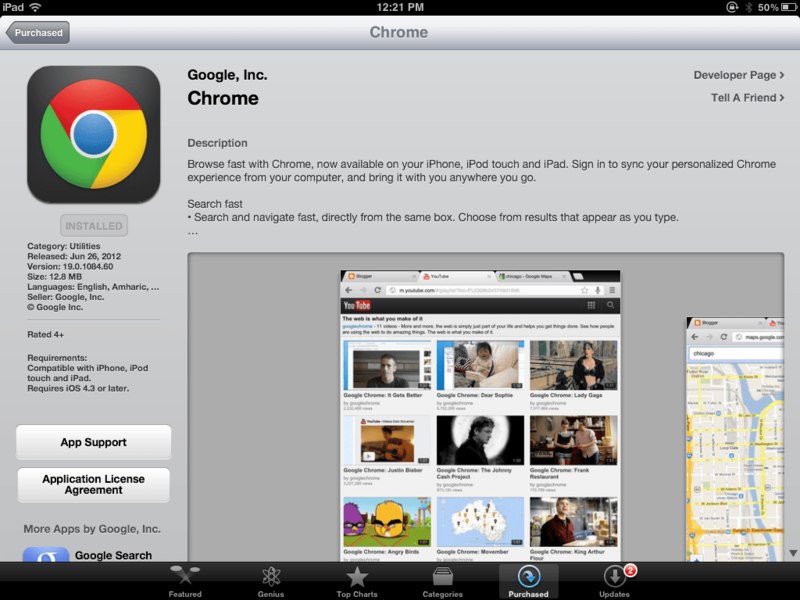 I used to have SugarSync there, as well, but that app seems to have disappeared for the Chrome Web Store. My other pages are separated by Design, Fun Stuff, and App Testing. In Design I have several Aviary image editing and creation apps, Picnik, and Audiotool. Again, I think I keep these for when I’m on a computer that isn’t Adobe-friendly, as I never use them otherwise. Design also has Zootool (a visual bookmarking app I never use), jsFiddle (code-testing sandbox that I rarely use), Pinterest (more for my wife, than me – and why under design…? ), Summify, and Revisu (helps with design iterations when using Google Drive). 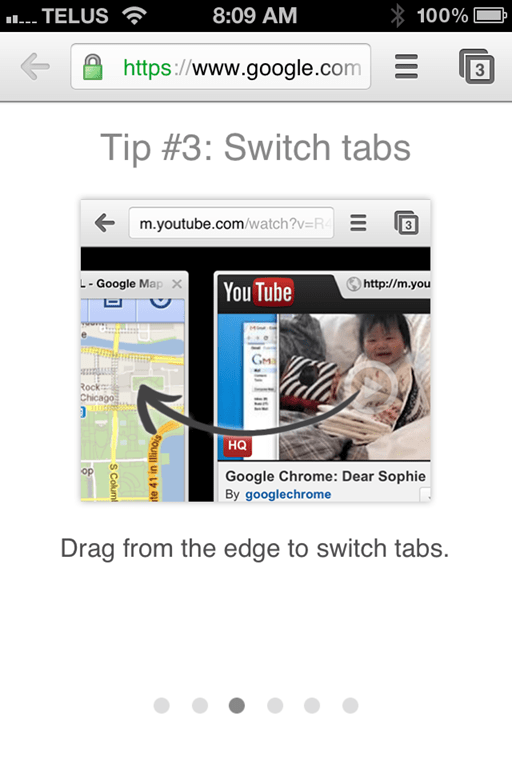 Fun Stuff (which is woefully bare, unfortunately) has Kid Mode for Chrome, which is the Zoodles app for my daughter. Zoodles is awesome, but the app hasn’t worked properly in Chrome for a while, leading me to use Firefox for this particular function. This page also has YouTube (which I mostly get to via search), Full Screen Weather (which I usually check on my phone), Graphicly Comics (which I never use), and Planetarium (used rarely). Netflix used to be here, but it is nowhere to be found on the Web Store now. App Testing tends to change, by its nature, but there are a few things in there that are persistent for some reason. I’ve left Jolicloud in there, as well as Memonic, and SlideRocket (which is cool, but I don’t generally use due to the pricing). I’ve also got HelloFax in there (it works with Google Drive and I use it sometimes, but had nowhere else to put it), Summify (it will stop working eventually, as it’s been bought by Twitter, but I keep it here in the meantime) and Thinkery (possible Evernote alternative I need to get around to testing more). This is also where I keep the Web Store link. So there you have it. Even after going through every app in my Chrome set up, I still don’t know what ones to get rid of, but I only use about a third of what I have with any regularity. It’s a conundrum, I tell you! How about you? Do you have any Chrome apps that you keep around, but never use? What are the apps that you do use, and couldn’t live without?